Says Legal Action “Frivolous”, Plaintiff Hasn’t Suffered Loss. 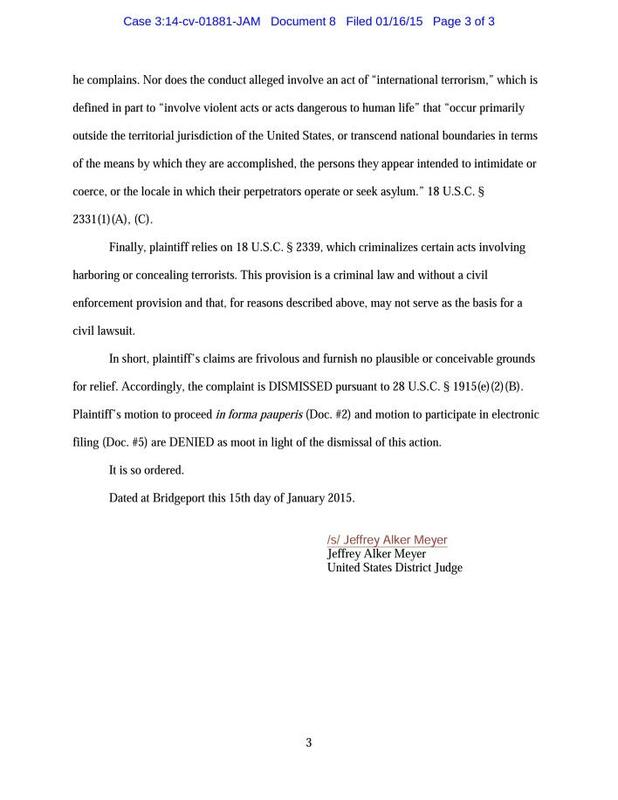 On January 15, 2015 the $1 trillion lawsuit brought by New London Connecticut William Shanley was dismissed by United States District Judge Jeffrey Alker Meyer. 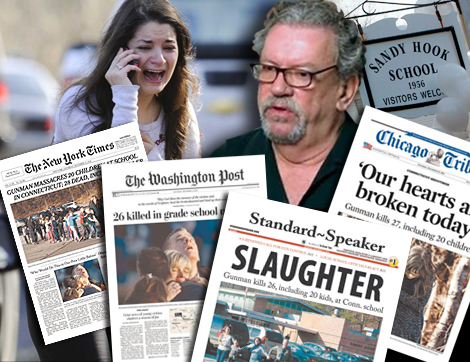 In December 2014 Shanley, an author and documentary filmmaker, filed two lawsuits against the Newtown Bee newspaper and several dozen major news media corporations for what he alleged was misleading and fraudulent coverage of the December 14, 2012 Sandy Hook Massacre in Newtown Connecticut. 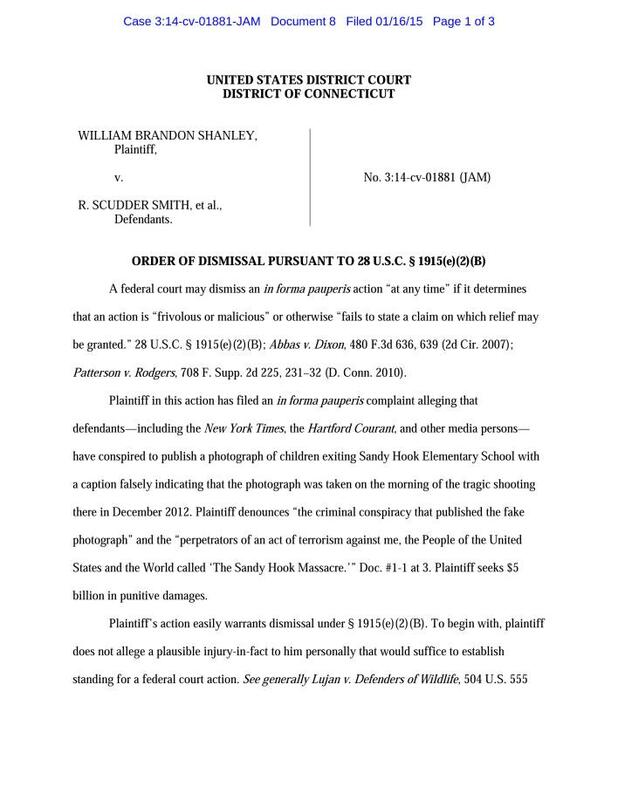 MHB readers suggested upon news of the suit being filed that Shanley would be hindered in bringing such an action because plaintiff did not suffer any loss and does not have standing to seek relief in court. When asked about the questionable grounds for such a suit in a December 29, 2014 interview Shanley responded that he was not seeking personal but rather punitive damages. Punitive damages are halfway between civil and criminal. They’re basically designed in cases like O.J. 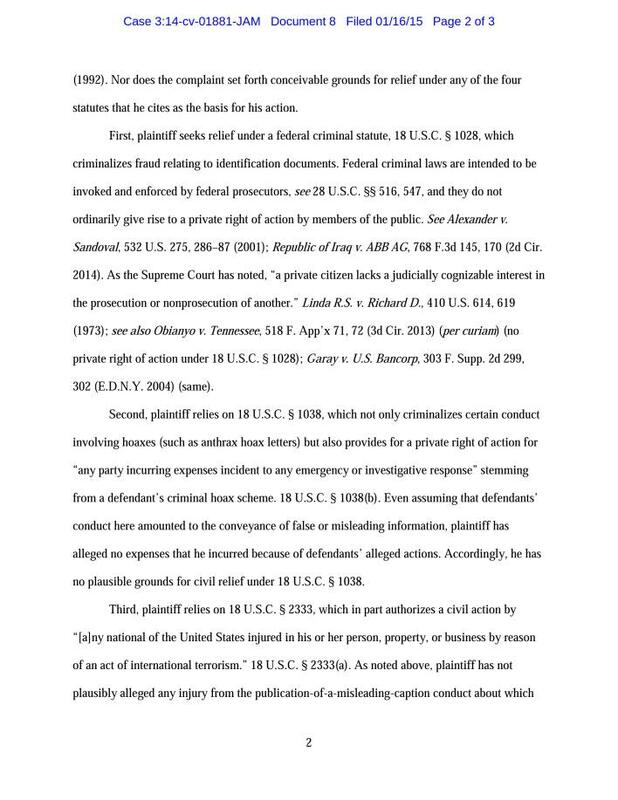 Simpson, where they couldn’t get a conviction at criminal trial, where the bar of evidence is lower at a civil case … The court has standing because it is a violation of federal laws. I am a citizen of Connecticut and of the United States. I have standing just on that basis. Any citizen can do this. On December 31, 2014 Shanley was arrested on one felony and two misdemeanor counts. He has pleaded not guilty. Mr. Shanley is presently being held in the Corrigan-Radgowski correctional facility in Connecticut in lieu of a $50,000 bond, with a pre-trial court date is February 4, 2015.